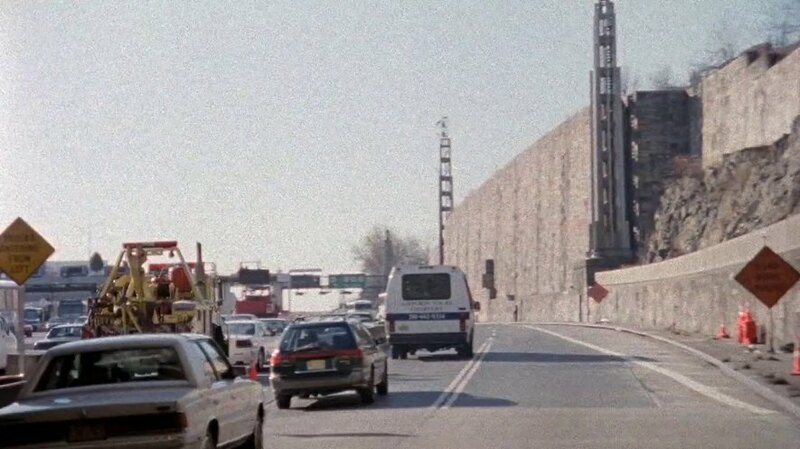 IMCDb.org: 1986 Chrysler LeBaron in "The Sopranos, 1999-2007"
The white car. Though I'd like to know what the car in front of it is. This is from the opening credits sequence. I'm leaning more towards the '82-'88 LeBaron (the rear window looks rather upright from this perspective, although I'm not certain enough about that). Either way though, it's a Chrysler. I'm pretty sure it's an '86 LeBaron (the taillights seem to curve a bit on the fenders).